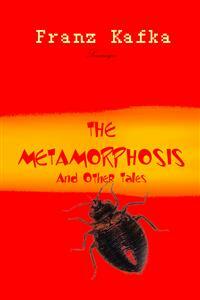 A travelling salesman, Gregor Samsa, waking to find himself transformed into a large, monstrous insect-like creature. He becomes burdensome to his parents and sister, who are repulsed by the horrible, verminous creature Gregor has become. Gregor’s glance then turned to the window. The dreary weather—the rain drops were falling audibly down on the metal window ledge—made him quite melancholy. “Why don’t I keep sleeping for a little while longer and forget all this foolishness,” he thought. But this was entirely impractical, for he was used to sleeping on his right side, and in his present state he couldn’t get himself into this position. No matter how hard he threw himself onto his right side, he always rolled again onto his back. He must have tried it a hundred times, closing his eyes so that he would not have to see the wriggling legs, and gave up only when he began to feel a light, dull pain in his side which he had never felt before. He looked over at the alarm clock ticking away by the chest of drawers. “Good God!” he thought. It was half past six, and the hands were going quietly on. It was past the half hour, already nearly quarter to. Could the alarm have failed to ring? One saw from the bed that it was properly set for four o’clock. Certainly it had rung. Yes, but was it possible to sleep through that noise which made the furniture shake? Now, it’s true he’d not slept quietly, but evidently he’d slept all the more deeply. Still, what should he do now? The next train left at seven o’clock. To catch that one, he would have to go in a mad rush. The sample collection wasn’t packed up yet, and he really didn’t feel particularly fresh and active. And even if he caught the train, there was no avoiding a blow-up with the boss, because the firm’s errand boy would’ve waited for the five o’clock train and reported the news of his absence long ago. He was the boss’s minion, without backbone or intelligence. Well then, what if he reported in sick? But that would be extremely embarrassing and suspicious, because during his five years’ service Gregor hadn’t been sick even once. The boss would certainly come with the doctor from the health insurance company and would reproach his parents for their lazy son and cut short all objections with the insurance doctor’s comments; for him everyone was completely healthy but really lazy about work. And besides, would the doctor in this case be totally wrong? Apart from a really excessive drowsiness after the long sleep, Gregor in fact felt quite well and even had a really strong appetite. “Gregor,” a voice called—it was his mother!—”it’s quarter to seven. Don’t you want to be on your way?” The soft voice! Gregor was startled when he heard his voice answering. It was clearly and unmistakably his earlier voice, but in it was intermingled, as if from below, an irrepressibly painful squeaking, which left the words positively distinct only in the first moment and distorted them in the reverberation, so that one didn’t know if one had heard correctly. Gregor wanted to answer in detail and explain everything, but in these circumstances he confined himself to saying, “Yes, yes, thank you mother. I’m getting up right away.” Because of the wooden door the change in Gregor’s voice was not really noticeable outside, so his mother calmed down with this explanation and shuffled off. However, as a result of the short conversation, the other family members became aware that Gregor was unexpectedly still at home, and already his father was knocking on one side door, weakly but with his fist. “Gregor, Gregor,” he called out, “what’s going on?” And, after a short while, he urged him on again in a deeper voice: “Gregor!” Gregor!” At the other side door, however, his sister knocked lightly. “Gregor? Are you all right? Do you need anything?” Gregor directed answers in both directions, “I’ll be ready right away.” He made an effort with the most careful articulation and by inserting long pauses between the individual words to remove everything remarkable from his voice. His father turned back to his breakfast. However, the sister whispered, “Gregor, open the door—I beg you.” Gregor had no intention of opening the door, but congratulated himself on his precaution, acquired from travelling, of locking all doors during the night, even at home. At first he wanted to get out of bed with the lower part of his body, but this lower part—which, by the way, he had not yet looked at and which he also couldn’t picture clearly—proved itself too difficult to move. The attempt went so slowly. When, having become almost frantic, he finally hurled himself forward with all his force and without thinking, he chose his direction incorrectly, and he hit the lower bedpost hard. The violent pain he felt revealed to him that the lower part of his body was at the moment probably the most sensitive. However, after a similar effort, while he lay there again, sighing as before, and once again saw his small limbs fighting one another, if anything worse than earlier, and didn’t see any chance of imposing quiet and order on this arbitrary movement, he told himself again that he couldn’t possibly remain in bed and that it might be the most reasonable thing to sacrifice everything if there was even the slightest hope of getting himself out of bed in the process. At the same moment, however, he didn’t forget to remind himself from time to time of the fact that calm—indeed the calmest—reflection might be better than the most confused decisions. At such moments, he directed his gaze as precisely as he could toward the window, but unfortunately there was little confident cheer to be had from a glance at the morning mist, which concealed even the other side of the narrow street. “It’s already seven o’clock,” he told himself at the latest striking of the alarm clock, “already seven o’clock and still such a fog.” And for a little while longer he lay quietly with weak breathing, as if perhaps waiting for normal and natural conditions to re-emerge out of the complete stillness. But then he said to himself, “Before it strikes a quarter past seven, whatever happens I must be completely out of bed. Besides, by then someone from the office will arrive to inquire about me, because the office will open before seven o’clock.” And he made an effort then to rock his entire body length out of the bed with a uniform motion. If he let himself fall out of the bed in this way, his head, which in the course of the fall he intended to lift up sharply, would probably remain uninjured. His back seemed to be hard; nothing would really happen to that as a result of the fall. His greatest reservation was a worry about the loud noise which the fall must create and which presumably would arouse, if not fright, then at least concern on the other side of all the doors. However, it had to be tried. Why didn’t his sister go to the others? She’d probably just gotten up out of bed now and hadn’t even started to get dressed yet. Then why was she crying? Because he wasn’t getting up and wasn’t letting the manager in, because he was in danger of losing his position, and because then his boss would badger his parents once again with the old demands? Those were probably unnecessary worries right now. Gregor was still here and wasn’t thinking at all about abandoning his family. At the moment he was lying right there on the carpet, and no one who knew about his condition would’ve seriously demanded that he let the manager in. But Gregor wouldn’t be casually dismissed right way because of this small discourtesy, for which he would find an easy and suitable excuse later on. It seemed to Gregor that it might be far more reasonable to leave him in peace at the moment, instead of disturbing him with crying and conversation. But it was the very uncertainty which distressed the others and excused their behaviour. “Anna! Anna!’ yelled the father through the hall into the kitchen, clapping his hands, “fetch a locksmith right away!” The two young women were already running through the hall with swishing skirts—how had his sister dressed herself so quickly?—and yanked open the doors of the apartment. One couldn’t hear the doors closing at all. They probably had left them open, as is customary in an apartment where a huge misfortune has taken place. Gregor pushed himself slowly towards the door, with the help of the easy chair, let go of it there, threw himself against the door, held himself upright against it—the balls of his tiny limbs had a little sticky stuff on them—and rested there momentarily from his exertion. Then he made an effort to turn the key in the lock with his mouth. Unfortunately it seemed that he had no real teeth. How then was he to grab hold of the key? But to make up for that his jaws were naturally very strong; with their help he managed to get the key really moving. He didn’t notice that he was obviously inflicting some damage on himself, for a brown fluid came out of his mouth, flowed over the key, and dripped onto the floor. “Just listen for a moment,” said the manager in the next room; “he’s turning the key.” For Gregor that was a great encouragement. But they all should’ve called out to him, including his father and mother, “Come on, Gregor,” they should’ve shouted; “keep going, keep working on the lock.” Imagining that all his efforts were being followed with suspense, he bit down frantically on the key with all the force he could muster. As the key turned more, he danced around the lock. Now he was holding himself upright only with his mouth, and he had to hang onto the key or then press it down again with the whole weight of his body, as necessary. The quite distinct click of the lock as it finally snapped really woke Gregor up. Breathing heavily he said to himself, “So I didn’t need the locksmith,” and he set his head against the door handle to open the door completely.